Including a bunch of very exciting Disney offerings. While there's only a few months left in 2018, it still has a bunch of amazing movies to offer! Here are more films to get excited about. Has there ever been a better film-casting than Emily Blunt as Mary Poppins? Well...apart from Julie Andrews as Mary Poppins, of course. We love Benedict Cumberbatch as much as the next man, but will he be as good as Jim Carrey? Only time will tell. The Girl In The Spider's Web is based on the fourth book from the Millenium franchise, written by David Lagercrantz. And if The Girl With The Dragon Tattoo, The Girl Who Played With Fire, and The Girl Who Kicked The Hornets' Nest are anything to go by, this film will be amazing too. Widows is based on a book by the writer of Gone Girl, and directed by the guys behind 12 Years A Slave. So it's sure to be incredible. To say we're excited would be an understatement. The latest remake of Robin Hood stars Taron Egerton and Jamie Dornan. So, although we doubt this will be as good as Robin Hood: Men In Tights, it does have hotties in it! Surely Ralph won't take his dungarees off and balance a Champagne glass on his booty? 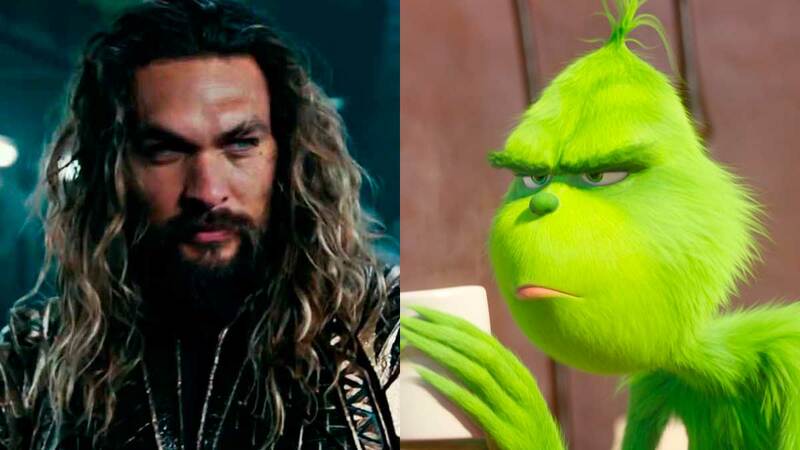 Jason Momoa and his bulging muscles will be making all your Christmas wishes come true when Aquaman comes out this December.